Atlas Adjustable Height Walking Frame With Rest Pad. Get moving and keep moving with the Atlas walking frame! If you remember your Greek mythology, you’ll recall it was Atlas that held up the celestial sphere. Likewise, this adjustable walking frame is more than capable of reliably supporting you in your travels! 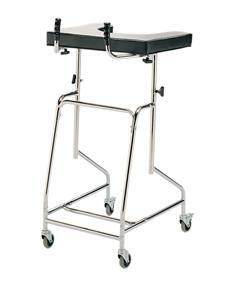 The Atlas is an adjustable height walking frame with a flame retardant upholstered rest pad. Shaped to the body, it will provide the user with maximum support. 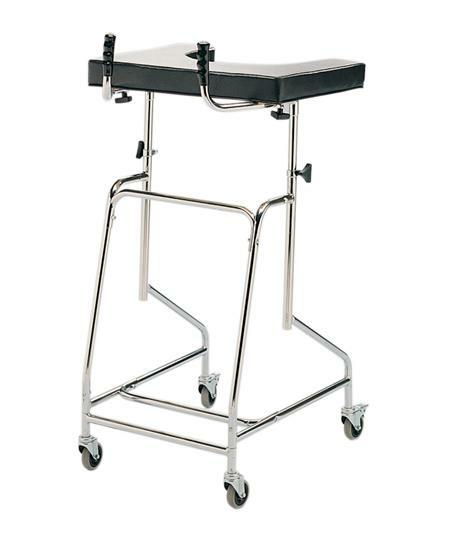 Its chrome plated steel frame is easy to clean, and with four castors – and two brake castors at the rear – travel in any direction is easy too. Built as it is, the Atlas suits all shapes and sizes, and will provide the support and safety required in a walking frame. Very pleased with this walking frame , its very strong and robust and is excellent for my Father to use. Very good quality and quick delivery.